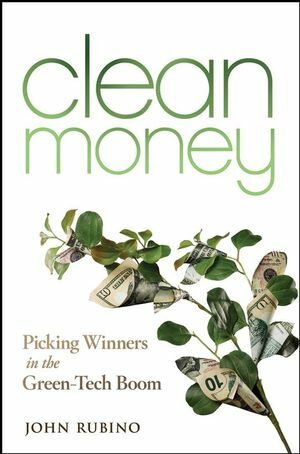 In Clean Money, John Rubino, Editor of GreenStockInvesting.com, introduces you to the world of clean tech (also known as green tech) and its wealth creation potential. Throughout the book, he explores a variety of clean energy sources–from solar power to biofuels–and shows how these renewable resources will spawn successful companies and rising share prices. Page by page, you'll discover the technologies that will drive this boom and become familiar with the state of their markets, their growth prospects, and the companies that are best positioned to become tomorrow's success stories. John Rubino runs the financial web sites GreenStockInvesting.com and DollarCollapse.com.His previous books include The Collapse of the Dollar and How to Profit from It (co-written with GoldMoney.com's James Turk) and How to Profit from the Coming Real Estate Bust. He holds an MBA from New York University and worked as a Wall Street analyst before turning to writing. Chapter 1. Clean Tech - This Time It's for Real. Chapter 2. We Came, We Saw, We Trashed the Place. Chapter 3. Fossil Fuels Fiasco. Chapter 4. Solar Power - From Social Statement to Serious Solution. Chapter 5. Wind - No Breakthroughs Needed. Chapter 6. Geothermal - The Heat beneath Our Feet. Chapter 7. Transportation - Green Machines. Chapter 8. Energy Storage - The Key to a Clean-Tech Takeover. Chapter 9. Biofuels - Miles per Acre. Chapter 10. The Hydrogen Economy - A Dream Deferred. Chapter 11. Emissions Trading - Climate Change Capitalism. Chapter 12. Smart Grid - The New Wired World. Part III. Other Clean Technologies. Chapter 13. Water - Liquid Gold. Chapter 14. Green Building - Sunny and Cool. Chapter 15. Agriculture - Eight Billion Mouths to Feed. Chapter 16. Green Materials - Lighter, Stronger, Cleaner. Chapter 17. Pollution Control - Trash Is a Terrible Thing to Waste. Part IV. Investing in a Green Boom. Chapter 18. Bubbles and Bear Markets. Chapter 19. Green Mutual Funds. Chapter 20. Clean Tech in Bite-Sized Pieces. Chapter 21. Short Candidates - Who Loses When Clean Tech Wins? Chapter 22. How to Trade Foreign Stocks. Chapter 23. Breakthroughs - Tomorrow's Game-Changers. Chapter 24. Creating a Research Program.